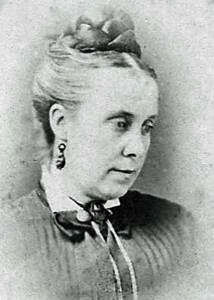 Ann was born on July 26th 1836 at Edgbaston, Warwickshire, the second child of Francis Bassett Shenstone (FBS) and Joanna Elizabeth Flindell. Ann and her younger brother Richard Brunton were baptised at St Martin’s Anglican Church, Birmingham on March 6th 1839. She was baptised “Elizabeth Ann”. It is possible that she was named after the elder sisters of FBS; Elizabeth, a hospital matron who did not marry, and Ann who married Henry Conquer, but did not have children. By 1851 the family had moved to Wembdon near Bridgewater in Somerset where FBS either bought, or became a partner in, the Bridgewater Times newspaper. It was here that her youngest siblings, Henry Conquer and Elizabeth were born. In 1854 Ann’s father and her brother Richard joined the Commissariat for the Crimean War (1854-1856). It is not known what happened to the family while FBS and Richard sauntered off to campaign for Queen and Country. One can speculate they either remained in Somerset, or moved to London which was their address before emigrating. Records of Ann’s education, training or employment in England have not been forthcoming, but it may be assumed that she was well educated because she became a successful teacher in the Swan River Colony. The Flindell family sailed from Plymouth on September 23rd 1857 in the “Nile”, carrying 268 prisoners and 40 warders and free passengers bound for the Swan River Colony. After a journey of around 100 days, they arrived at Fremantle on January 1st 1858. Frederick James born 1860 in Fremantle and survived 2 months. Ada Elizabeth born 1861. Little is known of her other than she did not marry; she became a governess and musician, and migrated to Scotland. Edmund Kestrel (Kes) born 1862. He trained in law and was the Clerk/Court at Roebourne from 1895 to 1898. He married Amy Bertha Smith and they had two children. Kes died in 1938. The “Blue Books” detailing annual returns for the Colony, record the appointment of Ann Veall as “second teacher” at Fremantle Colonial Girls School in January 1859 on an annual salary of £50. She was appointed mistress at Fremantle Infants School in 1860. In 1861 Ann was appointed as first teacher at Perth Girls School with a pay increase of £25. At this time the head mistress was Mrs. Wittenoom, wife of the Colonial Chaplain, the Reverend J.B. Wittenoom. Ann succeeded her in 1862 as head mistress, a position she held until 1886. Perth Girls School was established on September 20th 1847. In “Perth Girls School, An Historical Retrospect 1847-1947”, Ann was described as “a highly accomplished lady” and goes on to add “some old ladies will recall their school days at Pier Street and also the stately presence of Mrs. Veall”. Ann’s tenure as head mistress was carried out against the backdrop of agitation for political and social changes and the desire the cast off “the irksome controls of a Crown Colony system of government”. The salary of teachers at this time was based on payment by results, considered then, as today, to be iniquitous. Cleary these were times when a School Head trod a fine line between government and public accountability. In 1877 Ann moved the school from Pier Street to James Street (opposite what is now the State Library), to a building known to some as “Girdlestone High School” after a later headmistress. The Historical Retrospective ends its reflection of Mrs. Ann Veall with “Her gracious and striking personality left a lasting influence on the school which she loved and nurtured for twenty-four years”. SMITH & NEWMAN have received instructions from Mrs. Veall to sell by Public Auction at her residence, Bay Street, Fremantle, on Saturday next, the 18th instant, all her HOUSEHOLD FURNITURE, consisting of: Piano, Tables, Couch, Choirs, Bedsteads, Mattresses, Crockery Ware, Kitchen Utensils, and a Variety of Articles too numerous to mention. The COLONIAL SECRETARY said that the income of the late head mistress of the Perth Government Girls’ School (Miss Veall) -which was derived from results – for the last half year of 1885 fell short of the average for the previous three half years by £40 5s. 1d. This falling off was in consequence of the few passes obtained by the scholars at the annual examination, owing mainly to the continual absence of the head mistress from the school, through illness. Application had been made to the Central Board of Education for a copy of the Inspector’s examination schedule, showing the “results ; ” but the application was not complied with, as the Central Board did not deem it necessary to call upon the Inspector to furnish any other report than that required by the by-laws. This highlights that the administration of the day did not have the same loyalty to a well respected educator as the education authorities. It does indicate that Ann was in failing health. 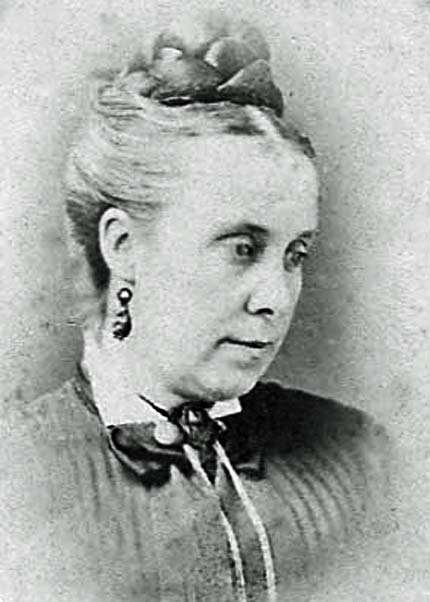 Ann died in Perth in 1893. Edmund James Veall has been an elusive man. I can find no valid record of him in the government publications of the time other than early Justice Department Records of births, deaths and marriages that refer to the family as “Veal”. The Bicentennial Dictionary of Western Australia states James Edmund Veall arrived Fremantle aboard the Anna Robertson about 18 Dec 1851. This was Sapper James Veal of the 20th Royal Engineers. There is an LDS record of an Edmund James Veall’s death in Melbourne, Victoria, Australian in 1904, but a search of the Victorian Justice Department records lists just one death of an “Edmund James Veall” and that was in 1871 age 12 months. The father was Edmund James Veall, blacksmith and the mother Eliza (nee Tulford). This does not correlate with the LDS record for which NO source data was provided. The West Australian, Saturday 11 November 1893, Page 4 – departure of the S.S. Bullarra, 1,076 tons, Capt. J. Anthon, sailed from Fremantle for Adelaide and Melbourne at 11.30 a.m. yesterday. Passengers in the saloon, for Melbourne included “Mr.Veall”. This may be the source of the LDS record referred to above which may still prove to be correct. Sadly, that is where we must leave Edmund James Veall – much of his life unknown. Justice Department Records – Death Certificate 4966 of 1893. The Index to the Register of Deaths fiche in the Battye Library gives the registration location as Perth and certificate number as 748 of 1893. Western Australian Genealogical Society database “Arrivals in Western Australia 1839-1890” and State Records Office CSR 499/15.